Droneo will bathe your ears with rich polyphonic textures! Droneo is a synthesizer which drones with various timbres and precise intonations that blur the distinction between tones, timbres and chords. Its drone is great for meditation, centering, and calming, walking and biking, but also can be set up for discordant noise and insect-like buzzing and chirping. With Droneo, you can create surprisingly rich, motion filled drones which change over time in a controlled way. 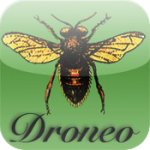 Quietly nested in your earbuds or blasted though your stack of amps, Droneo fills your droning needs! chorused, and modulated. The relative pitch and volume of each reed can be set individually, making for a wide variety of drones. These “reeds” use various timbres suitable for drones, including vocal-like timbres and evolving, dynamically generated timbres. 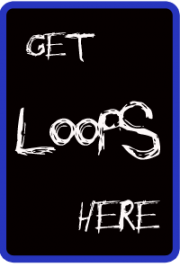 a special “Tone spiral” interface. Droneo is also an excellent way to play with the way chords fuse into timbres — which is why there’s such a heavy emphasis on interval specification. You can get a feel for how certain timbres fit “naturally” in certain frequency ranges, and how tunings and timbres and chords intertwine.